Who knows how he convinced Sybil to go along with it, but Virgil Bogue named his second child – his only daughter – after himself. 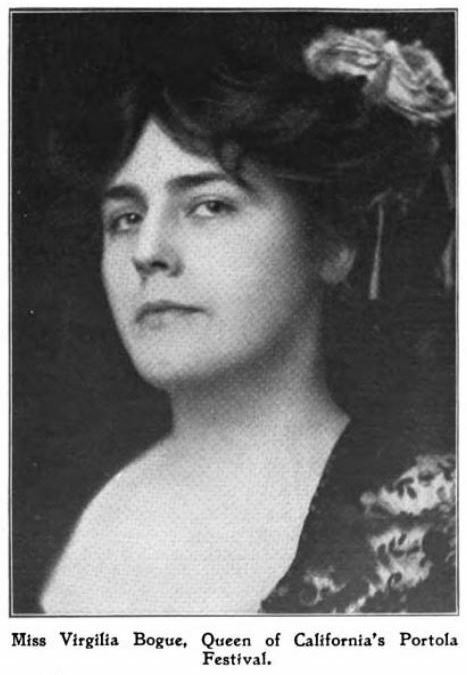 Virgilia Bogue was born in 1886 in Tacoma, perhaps just before Virgil was hired as Chief Engineer of the Union Pacific Railroad. He had been lead engineer for the Western Division of the Northern Pacific, working out of Tacoma. The UP meant a move to Portland, focusing on Oregon Railway and Navigation Company construction. 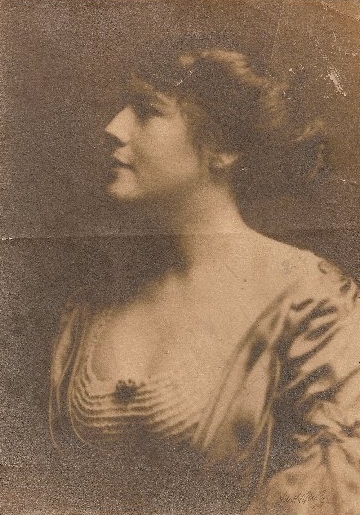 In 1909, at the age of 22, her life went into overdrive. 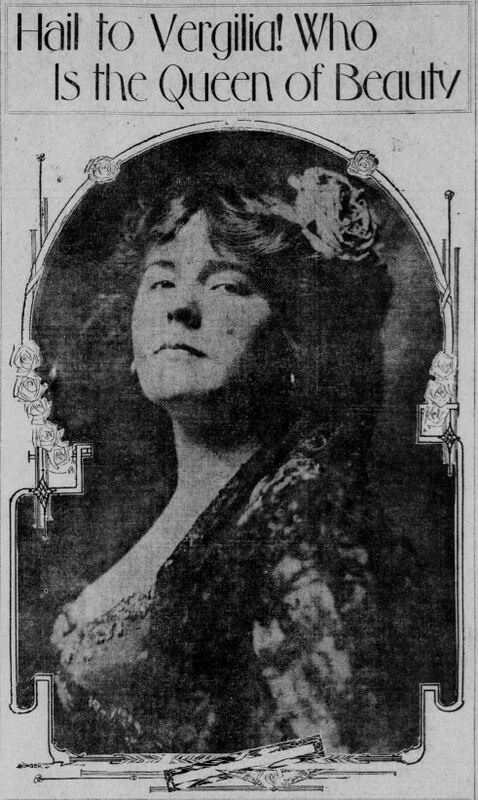 Within half a year she had a novel published, became a media darling after winning the role of queen of the Portola Festival in San Francisco, and was wed to a purportedly noble Italian artist who made ends meet as a streetcar man. Virgilia Bogue Baron moved to Italy with her husband Carlo. Their first son died before the age of three, and they quickly had a second, George (Giorgio) Bogue Baron. Then World War One broke out. Carlo, a former cavalry officer, resumed his rank and left for the front lines. Virgilia did her part as a volunteer nurse and wrote letters back home to stoke support for Italy. 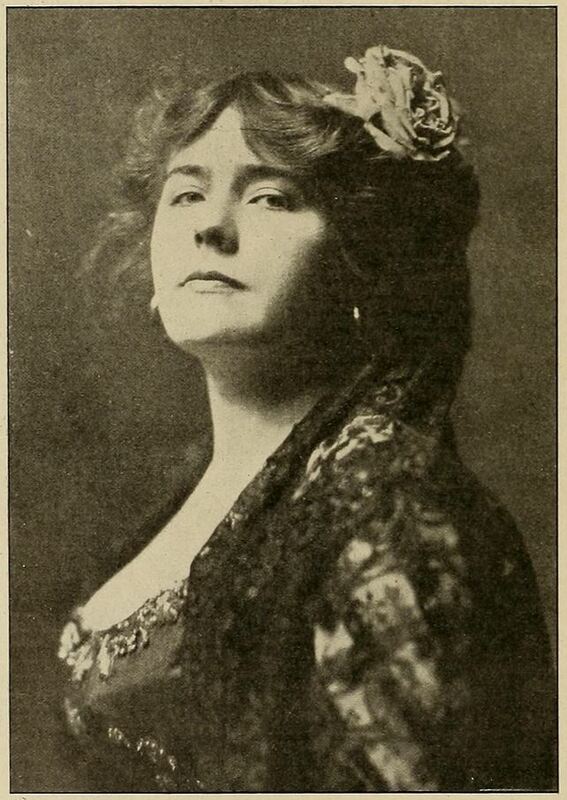 Carlo was injured in 1916. The nature of the injury is not stated, but the most common casualty for overstressed officers in Italy was shell shock, a totally misunderstood mental disorder at the time. As with other shell shock victims, Carlo was simply sent home. Virgilia returned with him to America for a time in the middle of the war. 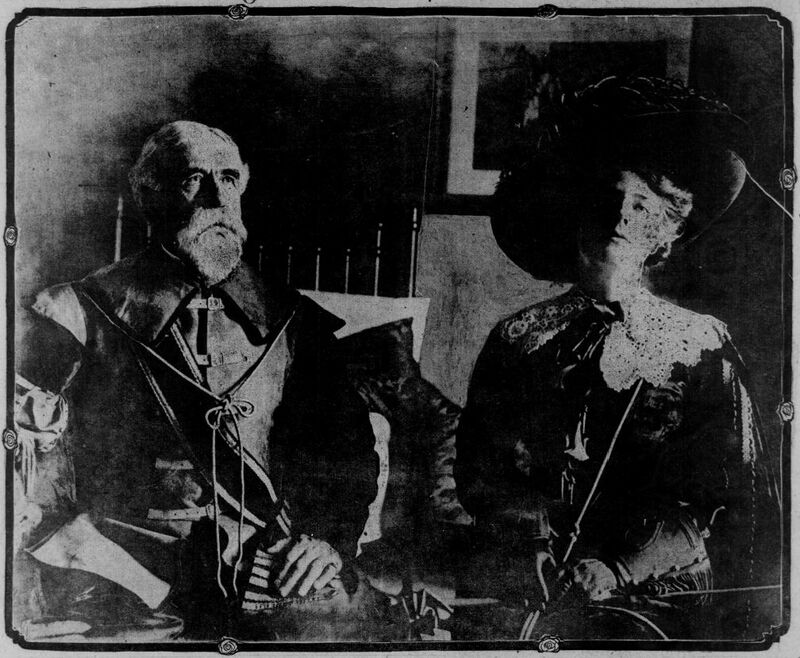 Soon after their return, Carlo traveled to Mexico with her father Virgil Bogue. On the return voyage Virgil died at sea, October 15, 1916. She should have stayed in the US, but instead went back to Italy to help when Carlo was ready. By the end of 1918 Virgilia had perhaps seen too much, witnessed too much tragedy. The death of her mother in August must not have helped. On her return in January 1919, Virgilia was institutionalized on Ward’s Island, New York, at the Manhattan State Hospital. She stayed in the New York mental health system until at least 1940, currently the last trace of her. Yet we are not forgotten here. Spring sings in our young hearts, my dear. 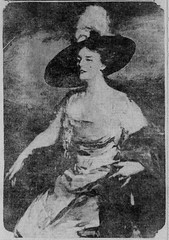 1909 12 26 Gossip article in Oakland Tribune that Virgilia was born in Tacoma, WA, not Auburn, CA as she misrepresented by the panel when she became queen. 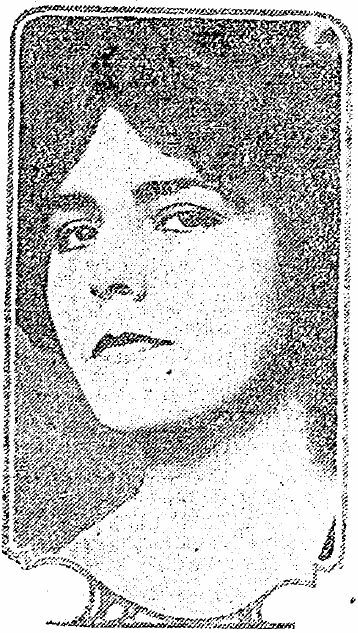 Virgilia’s friend Mrs. Pierre Troubetskoy was in the ARCH’s war relief agency for Serbia in New York. 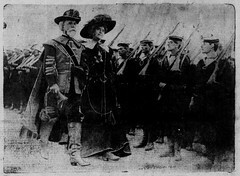 The San Francisco Library holds a number of photos of the Portola Festival parade. Strength to Yield pops up occassionally at used bookstores like Powell’s. Thanks to Denise Jones for sharing information on George. Besides the usual newspaper archives, information on Virgilia can be found at the Portola Festival page of the San Francisco Post Card club. They should be commended as the only previous location with details of Virgilia’s life. However, information seems based on a handful of San Francisco Call articles, and I urge future researchers to look for details in the publications I mention above. In particular, Carlo’s middle name is listed differently in many articles, but I believe “Lucien” is correct. Also, the page seems to imply that Virgilia suffered depression because of the international move to Italy, because the writer was unaware of her participate in World War One. Even with these limitations, the hints the page provided were important to me in identifying that she was institutionalized and to look for a reason. There are further promising lines of research. Virgilia’s service in World War One must have been documented. Perhaps there are archives of the American Relief Clearing House. Virgilia’s school days may have left behind a trail, but so far nothing. Her son George seems to have been in boarding school in New York from at least the time she was institutionalized, but possibly he was left in America during the war. His absence in press reports and records is perplexing, and something I hope to resolve. Serbian Pierre Troubetskoy appears several times in articles about Carlo and Virgilia before and during the war. Did a bit of digging around while waiting for things to build…. 1909 15 12 is the wedding date on the NY Marriage Index for Virgilia and Carlo. The Rockland Psychiatric Center has all the records for Middletown and will give the date of admission, date of death, and the marker number of your ancestor/loved one. The cemetery is located on Dorothy Dix Road, Middletown, NY. Call 845-359-1000 for more information. Middletown State Hospital served the counties of Orange, Rockland, Sullivan, and Ulster. Thanks! I could swear I had the certificate info but haven’t run across it in my notes yet. Added to the list. Another bit of interest is there are significant differences between the 1930’s census and the 1940’s one. In 1930 she is listed as 40 at last birthday and born in the United States. In 1940, she is listed as 47, born in Nova Scotia and a naturalized citizen. The 1940 census also lists the last grade of school completed to be 6th grade. It sure looks like the data of a completely other person. I don’t have an explanation for this difference. I’m going to assume that they wrote the wrong name or the wrong data. I didn’t see anyone listed born in Washington state though. Could be a different Virgilia, though there weren’t many. I’ll take a look at the 1940 census tonight. Her name was so rare, I would assume that the person writing patient info made a mistake. One more comment of possible interest – the passenger list of the S.S. Dante Alighieri shows Virgilia sailed from Genoa, Italy on April 8, 1916, arriving at the port of New York on April 26, 1916. It lists her as coming from her sister-in-laws Angelina Rota-Ipoteto. It lists Virgilia as 27 years old, a housewife and a permanent residency in Perugia. 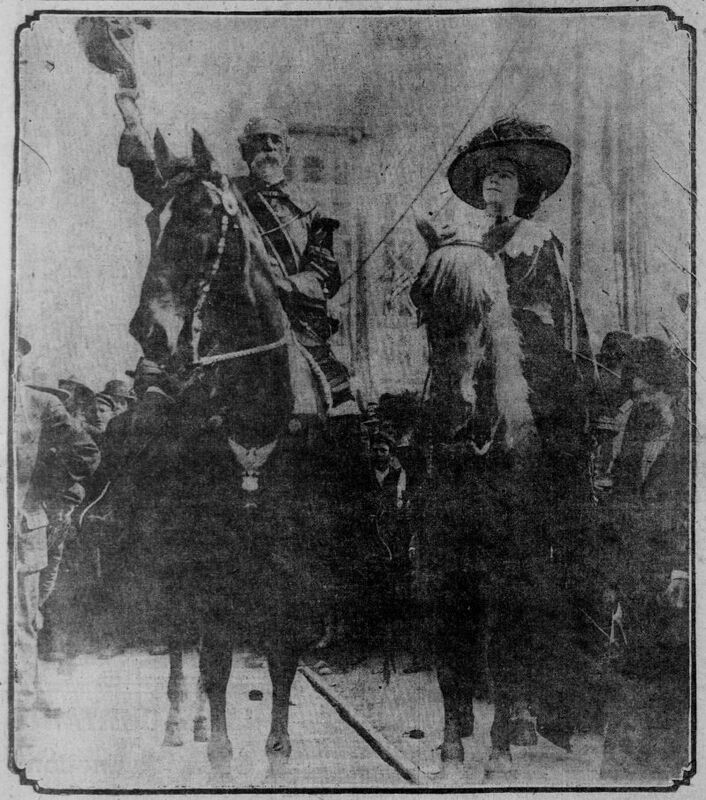 The details show she is going to visit her father, Virgil Bogue, NY, William St, 15. She is listed in good mental and physical health at the time. Flaxen hair, grey eyes. 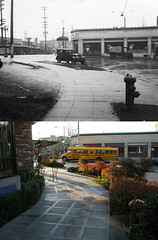 Born in Tacoma, WA. One of the interesting thing here is her father, Virgil Gay Bogue, died at sea on board the Steamship “Esperanza” on October 14, 1916, only months after she got back from WWI. 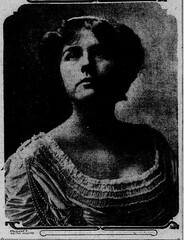 Her mother then died August 2, 1918, only a few months before Virgilia’s collapse. Thanks. I had description of her parents’ death in the intro text but added it to the timeline for clarity. Still no resolution on what became of her son, George Bogue Baron. Thank you so much for contacting me! Mr. Russell, I apologize if I’m forgetting correspondence between us in the past. I assume you are related to Virgilia through her mother’s family. I have all of the basic facts here, but if you have any questions or request for information please don’t hesitate to ask. She lived much longer than I expected. When I did most of my research about her in 2008, her death record wouldn’t have been shared by the city because it was less than 50 years. Since then I’ve been waiting for the details to appear on Ancestry, and I’m quite surprised that they don’t have the publicly posted NY City death index. Thanks again, I really appreciate that you reached out to me. Rob… I just saw your response from two years ago. I am related to Virgilia. 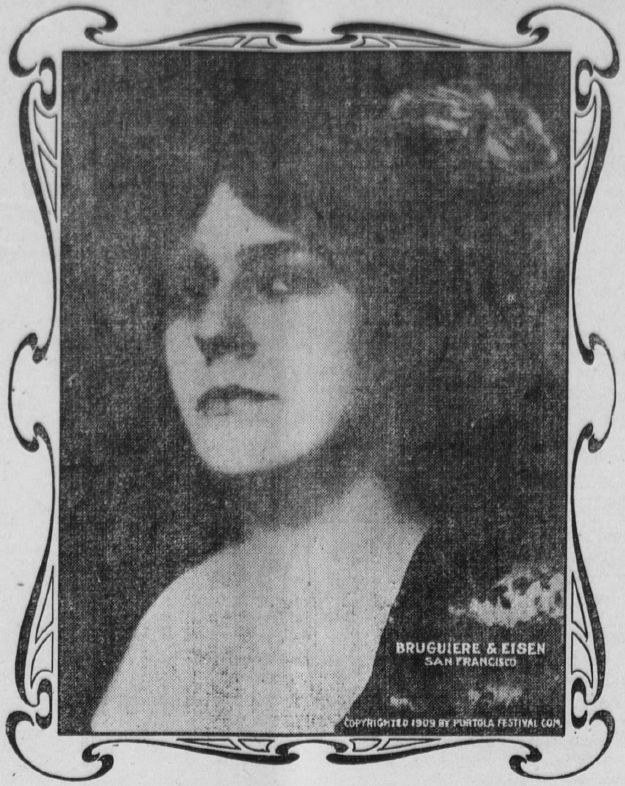 Her mother, Sybil Estelle Russell Bogue, was the sister of my great-great grandfather, Judge Leslie Wead Russell.